Please Note: Do you already have an existing automation system? Please see the shade and blind automation section further down about our interface products. We have been working with home automation since 1972, when the x10 protocol first appeared. When we started RollerTrol™, our company policy was set to support as many home automation systems as possible. We have now refined this policy to simplify the 3 easy levels of automation for controlling our shade/blind motors, skylight/window openers, and many other devices. A key feature of this implementation is that your initial investment in remote controls is preserved and will continue to function, regardless of how far you want to take the automation. We designed our system so that you can start out with our simple multi-channel wall mount and hand held remotes for our shade/blind motors and skylight/window openers, then upgrade later to a more advanced system. Many of our clients find that these simple remotes are all that is needed, but your investment is preserved regardless of any upgrade decision. Any remotes you purchase will continue to function, even if you upgrade to higher levels of automation later. You can control individual motors with these remotes and/or create groups. Here is a very easy phone app system that can 'learn' RF signals from our remote controls. Take a look at our very affordable new blind and shade hub, operated by Android and IOS apps. The system also has IFTTT event triggering (if-this-then-that), event timers, and IR learning for TV and other media. Your remote controls from Level 1 will continue to operate. This system is very capable and may well be the only automation system you will ever need. Save a lot of $$$ and convert all your old phones and tablets into powerful WiFi home automation control consoles! You can control individual motors with this hub and/or create groups. We are now manufacturing our Z-Wave controller that you can use with your favorite Z-Wave hub, such as SmartThings, Vera, Homeseer and Fibaro. Your controls and phone apps from Level 1 and Level 2 will continue to function with this system; for more information, please see Z-Wave interfacing for motorized blinds, shades and actuators. We are often asked about integrating our blind and shade motors with voice command systems such as Alexa® and Google Home®. A Z-Wave hub makes it easy to do this because most hubs support voice control systems. You can very easily set up a sequential process for some application in your home (often referred to as a "scene", with the ability to chain events to a single button press. For example, you may need a process for initiating a home theater system: lower blackout blinds, dim lights, turn projector on, deploy projector screen, activate audio system, select Netflix, etc. 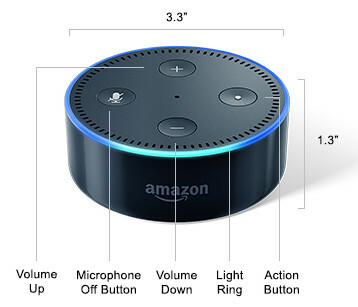 You can then assign that control function to be triggered by Alexa, using your voice to execute a series of events that are pre-programmed into Z-Wave hub. Already Have An Existing Home Automation System? 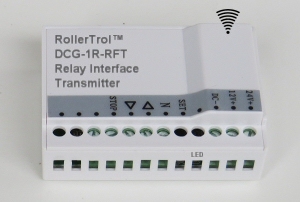 For those of you with existing systems such as Insteon®, Zigbee®, Control4®, Lutron®, Crestron®, Nest®, Bluetooth®, etc, we have a relay controlled group transmitter that can address our radio motors with OPEN/CLOSE/STOP commands. All you need is a relay module with 3 relays to trigger these control signals. The group transmitter can control as many motors as you like simultaneously as a group. For those of you with Z-WAVE® systems, we have a Z-Wave relay trigger module for blinds, shades, window/skylight openers that can be used to trigger the group transmitter. It is also sold as a complete ZWave control kit for window openers and blinds that includes the group transmitter, z-wave trigger module and 12v power supply. If you want to have group + individual control of our motors, you might want to consider using our BroadLink hub system, as mentioned towards the top of this page, as it will give you far more flexibility at a much lower price than z-wave. The BroadLink hub offers control of our G series blind & shade motors, the older R series motors, our skylight/window openers, our smart film, our drapery motors, any IR controlled devices such as TV and sound systems, and many other devices such as fans, LED lighting, etc. 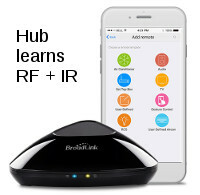 The BroadLink hub can even learn x10 radio commands, in case you have a few of those old modules in your home. If you are interested, you can purchase the BroadLink or Z-Wave interfacing products in our DIY online automation store. BroadLink® Rain sensor for closing skylights.